Did you know one of the most stressful aspects of living in a modern life is dealing with the problems that arise after a car or auto accident? 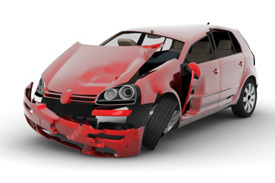 Were you also aware that some auto accident injuries are hidden and seldom detected for months or even years? Now that FL No Fault law has changed as of 2013, you only have 14 days to have your spine checked for injuries from an accident. As a result, a lot of car accident victims in the Parkland, Coral Springs & Coconut Creek areas settle their case with the insurance companies before getting evaluated from a doctor trained in soft tissue injuries. Why? Because once you settle your case you loose the right for care if you need it. A good rule of thumb is to get educated in your rights, then make a decision, there is no reason to rush; it can only hurt you. It is our position that if you were indeed injured, you should get the care you need to get you back to the way you felt and functioned just before the crash. It is not the responsibility of the insurance company to pay for anything more than that. They are not responsible for pre-existing injuries; only the injuries sustained from the crash. Even if you are just sore, you should get checked out immediately. Whiplash, is not always felt right away, symptoms may arise as long as 2-3 months after an injury. Why? Because you may experience neck or low back pain, numbness, headaches, muscle stiffness, fatigue, and other problems including arthritis many months down the road. Remember, Nothing is more important that your health when you start to lose it. Here’s where the problem begins…..Most people who suffer from a car accident have one thing on their minds: Their Automobile! Not only are car accidents an inconvenience and a hassle, a common general complaint of auto accident victims is that they don’t feel their normal self. You may also be experiencing obvious pains and symptoms like muscle stiffness or spasms, neck pain, headaches, numbness and tingling, lower back pain, difficulty sleeping, irritability, memory loss, fatigue, difficulty concentrating and many other difficulties or worse than that… you may be injured and feel nothing at all. Either way, did you know that car accidents could cause post traumatic osteoarthritis? Osteoarthritis can ruin you posture (giving you a slumped or hump back appearance). Osteoarthritis can cause the discs in your spine to degenerate and create scar tissue formation leading to chronic stiffness and the inability to move properly. When this happens, simple tasks like turning your neck become painful and almost impossible. Even if you were involved in a minor fender bender, studies have proven you can be severely injured and feel slight discomfort or no pain at all. That’s right, you can be severely injured, and feel only slight pain, or even no pain at all right after your accident. More than half of all whiplash injuries occur in car crashes, where there is little or no damage to the vehicle.Your doctor might miss this injury, and mistake your pain for something completely different. This is when insurance companies try to settle with you. Don’t make this mistake. Insurance adjusters know all about the kind of injuries people like you and me can experience in an accident. They know sometimes you don’t feel injured right away and that’s why they try to settle as quickly as possible while your medical bills are low or non-existent. Some of the crooked adjusters may also talk you out of getting examined within the first 14 days, to get out of paying for additional medical claims. This way they do not have to pick up the tab for the treatment you need and deserve. Most of them are not bad people, but some want to make and save money. This can happen, even if it’s your own insurance company you’re dealing with! Make no mistake, Insurance is a business like any other, and the less they spend helping their clients, (or the people they hit) the more money they make. If you have been in a car accident, you need a doctor that is trained in the biomechanics of the human body, someone who treats these injuries every day. If you have been in an accident, call our Parkland chiropractor office today. We will help you get back on the road again soon!